AUGUSTA, Ga. – Sixty-five-year-old Nancy Abrol has waited her whole life to hear the sounds of nature, and with help from doctors at Georgia Regents Medical Center, the Watkinsville woman finally got her chance. This week Abrol became the first patient in Georgia and just the second nationwide to receive a new hybrid cochlear implant, a small, complex electronic device that helps provide a sense of sound to patients who are profoundly deaf or severely hard-of-hearing. An implant can provide a useful representation of sounds by stimulating the inner ear, or cochlea. Watch this story on TV. And the biggest benefit, according to Mowry, is that the hybrid device gives patients back their high frequency hearing, something the traditional implant has been unable to do. 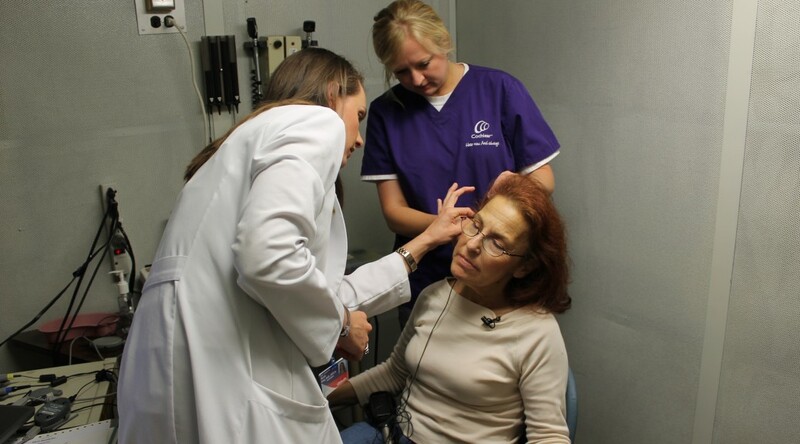 “This means patients can listen and appreciate music, hear and understand background noise, and tell where sounds are coming from,” said Mowry. But why is hearing high pitches so important? Abrol’s husband is glad she can hear squirrels, birds, and gurgling streams, but he’s much more pleased that she’ll be able to hear an ambulance on the highway and the smoke alarm at home. “If someone honks the horn or blares a siren to warn of their approach, she’ll be able to safely move out of the way. Hearing these high frequencies will not only improve her quality of life, but it will help protect her from many dangers, and that’s very important,” Mony Abrol said. It’s orange, has a name that reminds you either of Christmas or Lord of the Rings, and will definitely get your attention when you see it in action. ELF stands for Electric, Light, and Fun, three things Jeff Heck, Interim Reese Library Director, said caught his attention. “My wife saw a news report about it while we were at an airport,” Heck said. Soon, Heck placed his order, and a few months later a truck arrived with his very own ELF – and another reason to look forward to going to work. “It makes it more enjoyable to drive. I feel like I’m accomplishing something and not using so much gas,” he said. The body encompasses a solar-powered electric battery, with the panel on top of the vehicle. It has brake lights, headlights, and some storage space in the back. But the rest of the pod-shaped vehicle is more like a bike: Handlebars instead of a steering wheel, brake levers instead of a pedal, and bike pedals with two bicycle chains attached – one turned by you, and the other by the electric motor. Ideally, you’ll first get moving by putting a little effort into those pedals, and then engage the electric motor once you’ve picked up a touch of speed. The result? A top speed of 25 miles per hour, with a convenient assist from electricity to help get up those bothersome hills. Heck lives just a few miles from the Summerville Campus and takes Lake Forest Road to Lombardy Court to avoid most of the traffic. In a car, the trip would take about eight minutes; in the ELF, it’s only a couple of minutes more, but he doesn’t have to wonder where he will park. “It’s classified as a bicycle, so I pull it right up to Reese Library and attach it with a bike lock,” Heck said. In fact, once he hits the one-year mark, Heck will take his ELF to a local bike shop to have the chains and cables tightened. ELFs come in a variety of colors and have multiple models from Durham, N.C.-based Organic Transit, which raised over $200,000 through a Kickstarter that ended in January 2013. The company’s website equates 1,800 miles in an ELF for the energy equivalent of one gallon of gas. So one question remains: Why orange? “I wanted to have increased visibility [when on the road],” Heck said. It certainly does the job. We’ll be celebrating a year of fundraising for the Children’s Hospital of Georgia on Sunday, June 1, during a live broadcast from the CHOG lobby on WRDW-TV News 12. This week, Ch. 12, our Children’s Miracle Network television partner, will take us inside the amazing stories of six children whose lives have been changed by care at CHOG during the 29th annual CMN Celebration. Trey Mills loves riding his bike and his four-wheeler – and it’s amazing that he is able to since he only has one leg now. 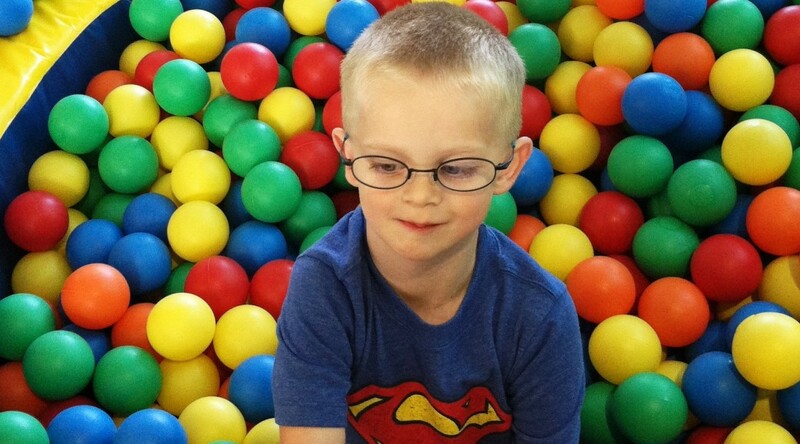 Trey is one of only about 200 people worldwide living with Proteus syndrome, a condition in which the body grows much more rapidly than normal. Proteus meaning “always changing,” can affect any body part. For example, Trey’s left leg was just 3 inches longer than his right, but began growing so quickly that he had to have it amputated from the knee down. He now wears a prosthetic leg and works through his sessions in occupational therapy at Children’s Hospital of Georgia like it’s no big deal. Trey has many health issues. The syndrome is so rare that very few doctors in the CSRA are able to care for him. But for as many problems as he has medically, his mom and caregivers say he is the sweetest boy, and he always has a smile on his face. Watch Trey’s story on WRDW.com and see it again on Sunday during the live broadcast. Also, be sure to tune in tonight for Reese Smith’s CMN Miracle Story, airing at 6 p.m. today on WRDW-TV News 12. Dr. Achih H. Chen, Director of Facial and Plastic Reconstructive Surgery at the Medical College of Georgia at Georgia Regents University, discussed maximizing the age-minimizing results of facial cosmetic surgery on the May 8 episode of the syndicated health and wellness show, The Doctors. Chen, also Director of The Georgia Center for Facial Plastic Surgery in Evans, shared his experience with a single operation addressing the three major issues of the aging face and neck: a sagging chin and neck line, loss of volume in the middle of the face, and wrinkled, discolored skin. “There is a problem in the market of facial rejuvenation where everybody thinks that it’s smaller and smaller and quicker and quicker procedures but that is not making people look younger,” Chen said. Used alone, the traditional facelift – tightening the skin upward toward the scalp – typically won’t restore a more youthful appearance, Chen said. “The concept behind the facelift works OK for certain areas of the face, such as a saggy neck and chin line, but not for every part of the face,” Chen said. The mid-face, which is further flattened by a facelift, is a great example, he said. Options include not just tightening the skin but also strategically injecting the patient’s own fat. Because fat is unpredictable with typically only about a third of it surviving after the procedure, Chen often prefers inert, soft but solid, silicone implants secured to bone with a single, titanium screw to fill out the mid-face. Implants also provide flexibility since they can be removed or replaced with a different size if desired, Chen said. The final piece of the trifecta is resurfacing the skin’s surface to diminish discoloration and wrinkles. “We change the texture of her skin,” said Chen, who uses an ablative laser to remove the top layer that has been ravaged by time and environmental factors such as sun exposure and smoking. While the initial result looks and feels like a burn or scrape, the healing process enables collagen synthesis and additional skin tightening and smoothing. 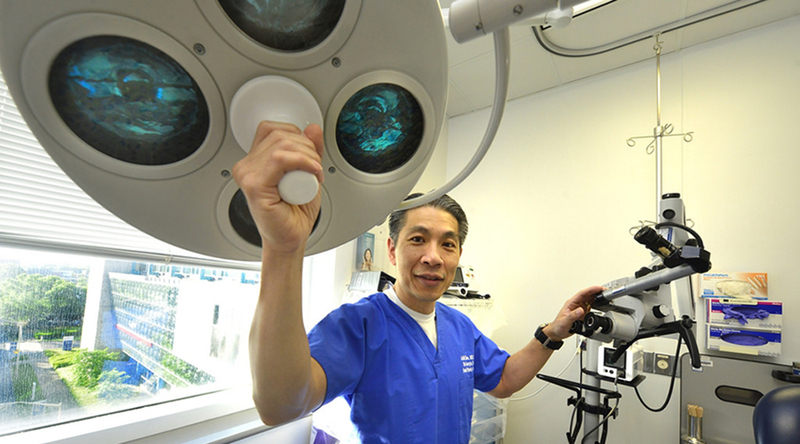 Non-ablative lasers, which work more superficially, simply can’t produce similar results, Chen said. They’re called the Greatest Generation – and for good reason. As Memorial Day approaches, we wanted to share just a few of the many touching stories of the veterans who fought for our country and now make their homes at the Georgia War Veterans Nursing Home, affectionately known as The Blue Goose. We hope you’ll listen to their memories and appreciate what Memorial Day means to them. 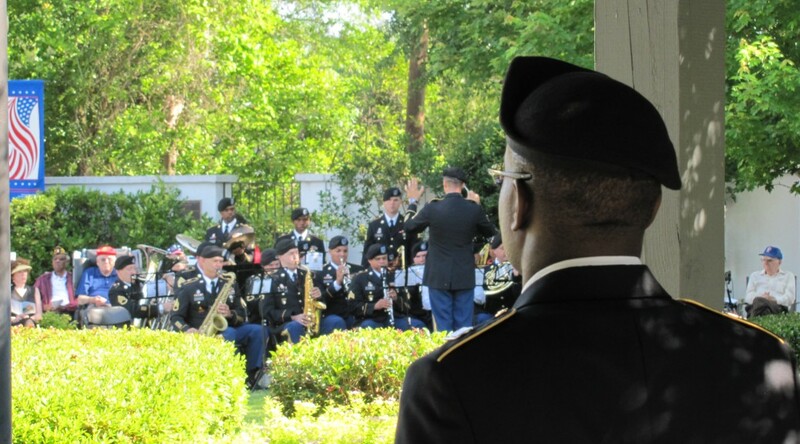 GA War, located at 1101 15th St., will honor their sacrifices with its annual Memorial Day Service at 9 a.m. Monday, May 26, in the courtyard. The nursing home, which is operated through an interagency agreement between GRU and the Georgia Department of Veterans Service, is home to more than 150 of the state’s aged and infirmed veterans.